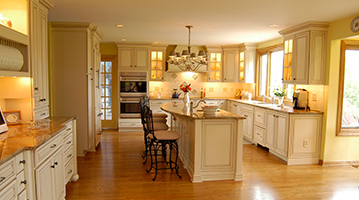 Custom Homes, Kitchen,Bath Remodelers Tri-County Development | Tri-County Development Group LLC. Our team has been helping families build their custom dream homes for more than 25 years. From luxury custom homes to modular homes, college rentals to vineyard ranches, or from classic to historical, we begin by listening to our clients and then utilize our artistry, experience and craftsmanship to transition dreams into designs that become sought after living spaces. The heart of one’s home and the place where family and friends gather to share food, drink, love and laughter is often the kitchen. 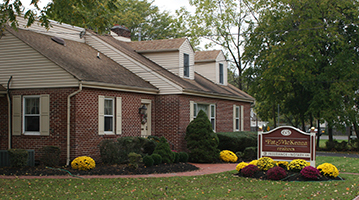 We have designed and crafted hundreds upon hundreds of kitchens that warm homes all over southern New Jersey. Whether for efficiency, warmth, formality, stylishness, practicality, or affordability, we continue to deliver a superior kitchen product year after year. 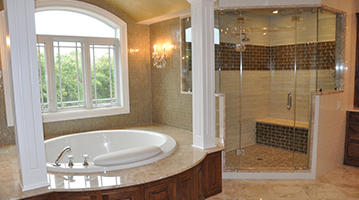 Whether your budget is $5,000 or $100,000 we can help you both design and build the bath that fits your wants and needs. 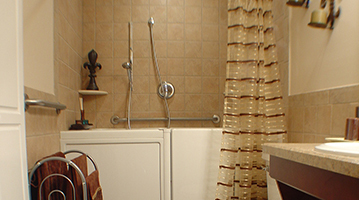 ADA Accessible, extravagant, basic, beautiful, cost-effective, enormous, indestructible, warm, and simple are just a few of the adjectives used by our clients to describe bathroom spaces we have crafted. Our creative designs along with superior craftsmanship, allow us to help you accommodate the growing needs of your family right where you are, in the home you have learned to cherish. Whether for sleeping, playing, relaxing, entertaining, or creating more room in which to live we can transform your house while preserving your home. Whether you are starting or expanding your business, our expertise in value added design, construction, and renovation of restaurants, offices, medical practices, shopping centers, retail spaces, warehouses, church rectories, or recreational facilities is just a telephone call or click-of-a-mouse away. 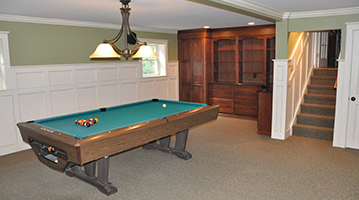 For many homes, the basement is an untapped resource that can add great value. Our experienced designers and craftsmen transform basements into theaters, offices, family rooms, bedrooms, full bathrooms, kitchens, wine cellars, gyms, bar rooms, pools and libraries or anything that you can imagine; limited only by what clients are willing to invest. 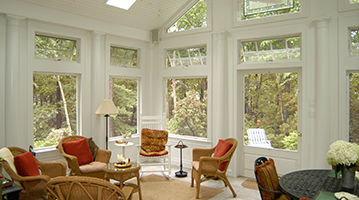 Creating spaces that bring the outside in and the inside out for added living space can enhance the quality of your life and the value of your investment. 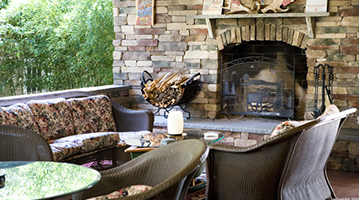 Whether pools or decks, patios or gardens, outdoor fireplaces or play areas we have not only built them, but have mastered the craft of integrating them with your home. As lifestyles and bodies mature, so do needs. We utilize our experience, artistry, and craftsmanship to create accessible amenities and accommodations you may someday require, right within the warm confines of your own home. Let our designers work with you to find an affordable solution that is right for you.